Detailing in any outfit is really important especially if it’s your Lehenga. Apart from embellishments, Latkans or tassels add a little twist to your look. These tiny elements are what makes your outfit stand apart. Add these coolest Latkans to accessorize your lehenga. This will not only make you look different but also very elegant. So, girls, we have prepared a list of 10 coolest Latkans you can’t miss in this wedding season. Get Inspired! Mirror tassels add a very traditional touch to any outfit. If your saree, salwar kameez or lehenga choli is in any colour and you can’t find any suitable latkans, go for mirror latkans. Mirror tassels are great for colourful outfits. They look very classy and make an outfit look very subtle. Also, the mirror tassels are available in a variety of designs and colours so there is more space for experiments. As we already know pearls are any woman’s favourite accessory. White pearl latkans can add an instant charm to any outfit you desire. Not only white but you can also go for colourful pearls as per the outfit requirements. A bunch of moti latkans will enhance any lehenga. 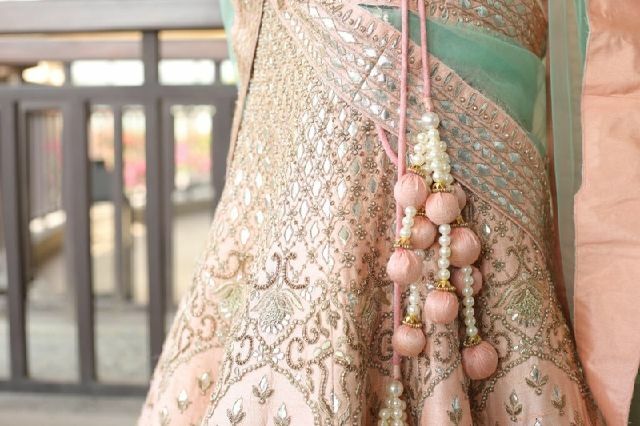 Large pearl latkans on a plain lehenga is quite a trend this year. Pompom is trending a lot these days. We have seen pompom tops, skirts, and footwear. So, why not try the pompom latkans on your lehenga. 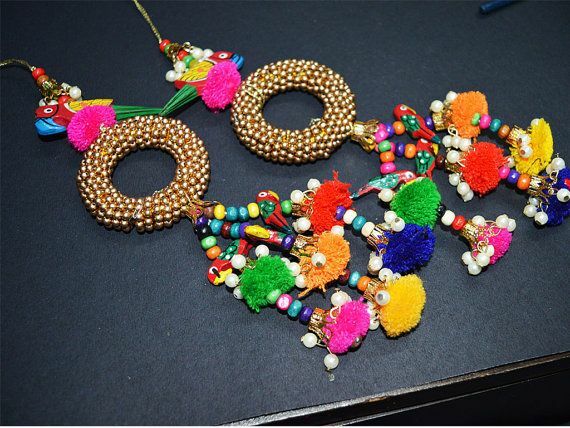 Add a statement to your ethnic wardrobe with these cute pompom tassels. The pom pom latkans are beautifully crafted in various sizes and shapes which resemble tribal banjara style. These are the most common kind of latkans. If you are confused as to what kind of tassels will go with your outfit then go for this one. These go with every outfit and makes any look classy and traditional. These are available in a wide range from embroidered to the simple regular ones, you will get every design in these. 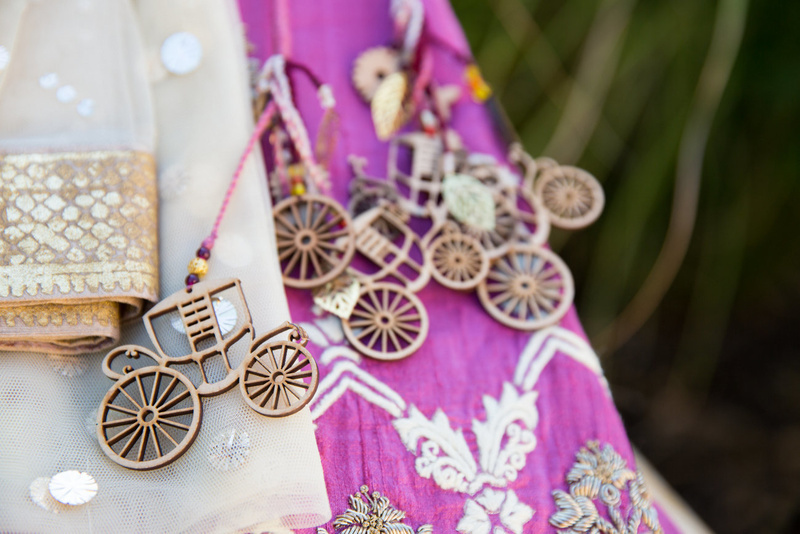 Bicycle or chariot latkans are the new trends this season and they are one of the coolest latkans amongst all. They look really quirky and go with all kinds of outfit. These tassels add uniqueness to the outfit, making it stand out. They also look quite nice with soft fabrics. Gota Patti is a very popular form of handwork in Indian ethnic wear. Gota Patti is very shiny and glittery pieces formed from the gotta ribbons. 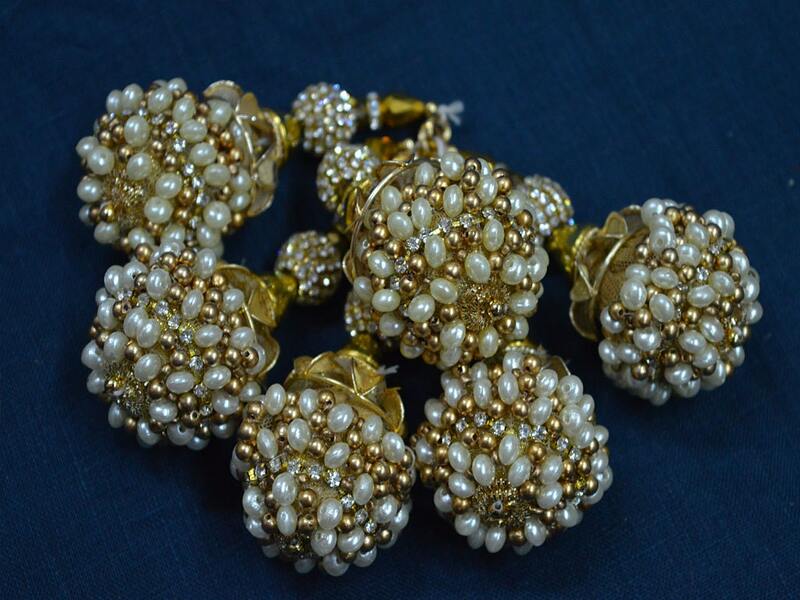 They are widely used as an embellishment for any traditional outfit. There are different shapes, designs and sizes of gotta Patti available in the market. The gold and shiny effect of the gotta Patti latkans greatly compliments the events and festivals. To accentuate the beauty of traditional lehengas do try out the gotta Patti tassels. 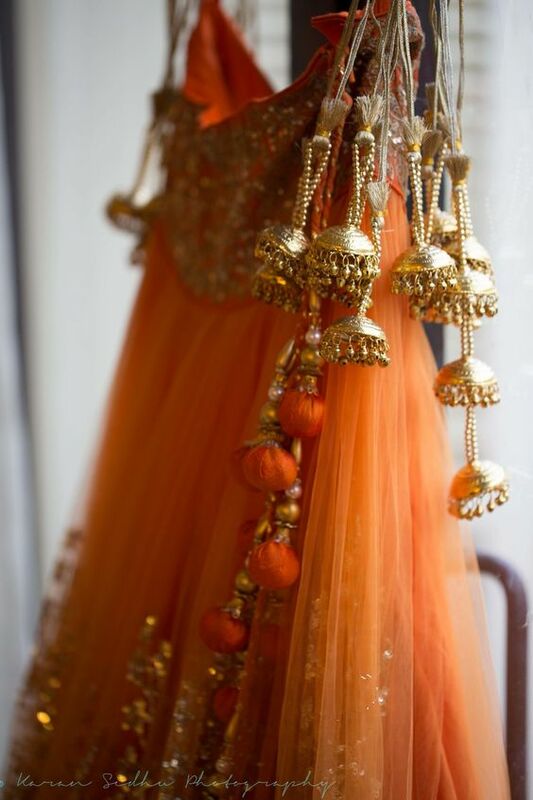 We’ve seen names and stories being embroidered on lehengas these days, but these tassels are a step ahead of that. 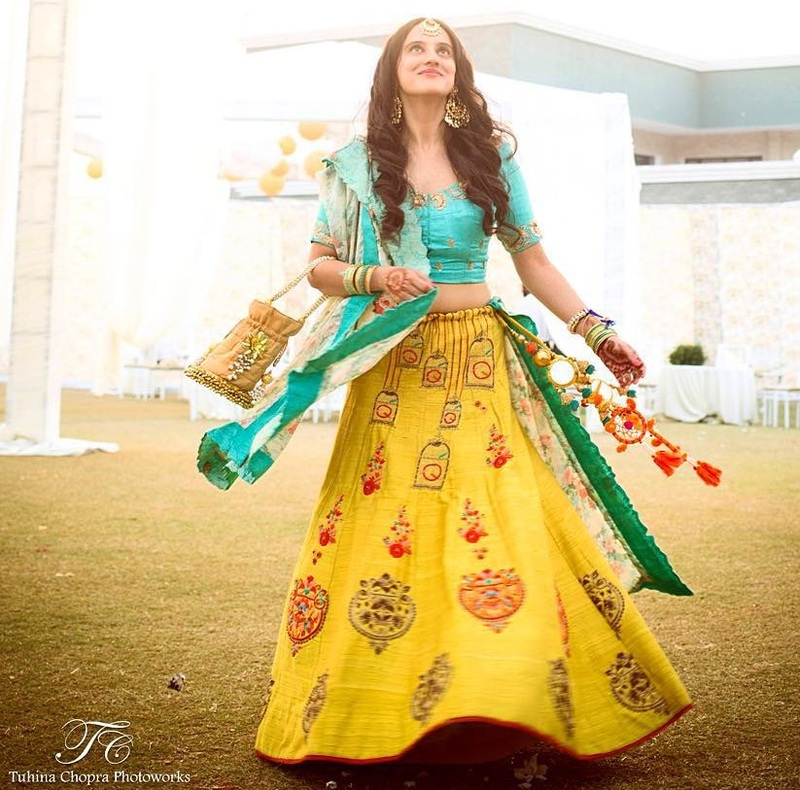 They are quite new and look so fashionable on plain lehengas. You can also customise these kinds of latkans. Go for this tassel if you want something out of the box and different. Ghunghroo is small bells attached together and they are regarded as an ornament in India. Ghunghroo sounds very captivating and is quite a fashion statement these days. They are best when paired with pastel hues- gold and silver ghunghroos really give it a very traditional feel. The fringe latkans at the edge of lehenga choli will make a dramatic finishing touch to your outfit. Hang these fringe latkans whenever you are in doubt. Fringe latkans looks great when added at the back of a blouse. Rounded balls or big colourful beads can also be added to these lightly weighted latkans for volume. Fringes are available in various lengths so you have the option to choose according to your lehenga. Dreamcatcher as latkans, what a unique concept, isn’t it? Going by the trend, dream catchers are quite popular in India these days. 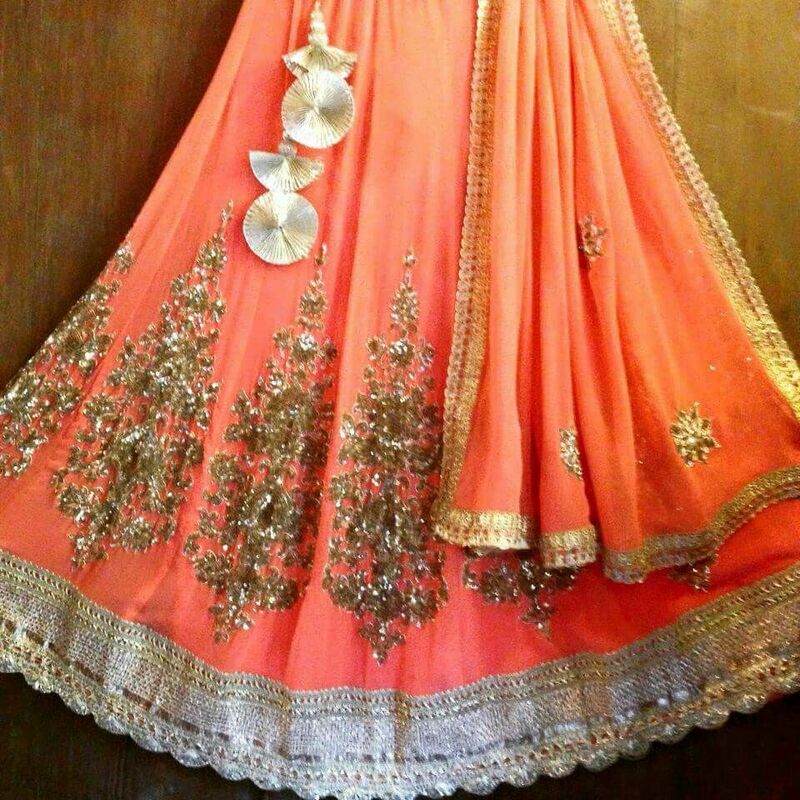 So, to have your lehenga accessorize with it would be totally awesome! Pair up these latkans with plain and light outfits to highlight these tassels even more. Also, these latkans will look great with light colours. So, go on and look no less than a dream yourself! So, aren’t these designs awesome? Which one of these coolest latkans do you like? Tell us in the comment section below. A student of Journalism and Mass Communication. Also working as a social media coordinator. I am a part-time writer, traveller and social worker.